Our wholesale backpacks are affordable, high-quality and built to last. We offer a wide selection that includes a variety of colors, features, and styles. We work with charities and organizations that provide children with backpacks for school and other needs. D & W helps them stretch their dollar to provide quality products for all. After so many years in business, we are the online source of wholesale backpacks on the web. 17" Green & Black Laser Print EAGLESPORT backpack. Our series backpack offer great quality featu..
17" Cloud Print EAGLESPORT backpack. 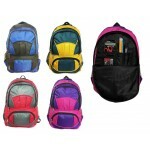 Our series backpack offer great quality features at a great pri..
17" Multi Color Ribbon EAGLESPORT backpack. Our series backpack offer great quality features at a gr..
17" Green & Black Dot Print EAGLESPORT bag. Our wholesale backpacks offer great quality features..
17" Galaxy Print EAGLESPORT bag. Our wholesale backpacks offer great quality features at a great pri..
17" Green Camo Print EAGLESPORT bag. Our wholesale backpack offer great quality features at a great ..
17" IKAT Green and Navy EAGLESPORT backpack. 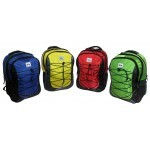 Our wholesale backpack offer great quality features at ..
17" Multi Color Laser EAGLESPORT backpack. Our wholesale backpack offer great quality features at a ..
17" Peace & Love Print EAGLESPORT backpack. Our wholesale backpack offer great quality features ..
EAGLESPORT backpacks are fashioned in popular Two Tone combinations for all ages in scho.. This 17 inch wholesale mesh backpack is the perfect durable yet lightweight backpack for back to sch..
17" Owl EAGLESPORT backpack. Our wholesale backpacks offer great quality features at a great price f..
Sherpa 17" Backpack by Artic StarThese wholesale backpacks are made by Artic Star. 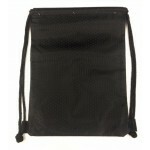 They are strong b..
18" Premium Backpacks $7.75 Each. 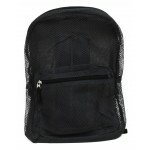 This wholesale backpack has a large main compartment, three smaller front pockets and 2 side mesh po.. This wholesale backpack has a large main compartment and three smaller front pockets, 2 inch padded ..
18" Wholesale Backpacks Blu/Blk $7.75 Each. 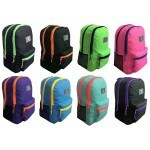 18" Wholesale Backpacks Pink/Purple $7.75 Each. 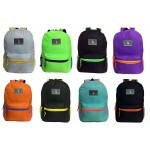 18" Wholesale Backpacks Yellow/Green $7.75 Each. This wholesale drawstring backpack is Reinforced hex nylon material and Reinforced stitching with th..
19" Two Tone EAGLESPORT backpack. Our wholesale backpacks offer great quality features at a great pr..